Vitalia at Tradition is a private, resort-style community on Florida's beautiful Atlantic Coast. Set on Florida's beautiful Treasure Coast, Vitalia at Tradition puts residents within easy reach of charming shops and restaurants, sandy beaches and the diverse attractions in nearby West Palm Beach. 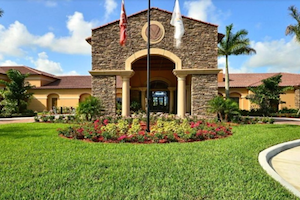 Vitalia at Tradition is also close to the PGA Village, which offers championship golf courses and an expert learning center. Vitalia at Tradition was opened in 2006 by Levitt & Sons, and acquired by AV Homes in 2010. Today, interested homebuyers can choose from both resale and new construction homes which have been specifically designed for active adults aged 55 and better. Upon completion the community will have approximately 1,200 homes. At the heart of the community, the new Capitva Club brings residents together with an exciting mix of social and recreational amenities. This 24,000 square-foot clubhouse features multi-purpose meeting rooms, hobby and game rooms, an arts and crafts studio, a library and a business center. The spacious ballroom and catering kitchen provide ample space for social events, while the state-of-the-art fitness center makes it easy for residents to stay in shape. The Captiva Club's amenities continue outdoors with a heated resort-style pool and a spacious deck with lounge chairs and cabanas. Residents can make use of the outdoor barbecue area, firepits and lakeside pavilion. There are five tennis courts, eight pickleball courts, two bocce ball courts and a putting green. Vitalia at Tradition's lovely grounds also feature walking and biking trails, natural parks and scenic lakes. Residents enjoy two outdoor pools plus numerous sports courts, trails, a putting green and more. An additional Neighborhood Center offers further resident amenities. This smaller facility includes an exercise room, a comfortable club room and another outdoor swimming pool. Between 2006 and 2010, about 200 single-family homes were built by Levitt & Sons. These homes were originally offered in a wide variety of floor plans with sizes ranging from 1,400 to just over 2,900 square feet. These homes typically include two to four bedrooms, two to three bathrooms and attached two-car garages. They are currently available only on a resale basis. After acquiring the community, AV Homes began building their own line-up of single-family homes, which are now available as both resale and new construction homes. A wide range of models are spread across three series: the Island Collection, the Beach Collection and the Coast Collection. Floors plans by AV Homes are sized from 1,460 to 2,456 square feet. Depending on the model, they may include two to four bedrooms, two to three bathrooms, dens and attached two-car garages. 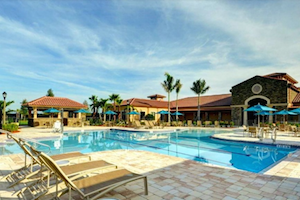 For active adults who dream of living on Florida's Central Atlantic Coast, Vitalia at Tradition offers affordable homes, impressive amenities and easy access to all of Port St. Lucie's coastal attractions.